Shares of leading Chinese film studios plunged amid a brewing tax-evasion scandal that has rocked the entertainment industry and ensnared top actress Fan Bingbing. China’s entertainment giant Huayi Brothers Media fell nearly 7% Monday, and Zhejiang Talent Television & Film, of which Fan is a shareholder, plunged by the daily limit of 10%. The nosedive came as rumors circulated that Fan, the Chinese equivalent of Angelina Jolie, has been placed under investigation of tax evasion in a scandal that broke out in May. Reports said Fan has been prohibited from leaving the country because of the probe. Over the weekend, Chinese media also reported that an employee from Huayi's financial department was arrested for involvement in alleged tax violations linked with Fan's company. Huayi Brothers said via the online investor relations platform of the Shenzhen Stock Exchange Sunday that the company was not involved in the reported investigation of Fan. Fan’s agent Mu Xiaoguang didn’t respond to Caixin’s request for comment. Some investors on the interactive platform of the Shenzhen Stock Exchange asked if Zhejiang Talent was involved in the reported investigation of Fan. The company hasn’t responded publicly. But a person inside the company told Caixin that no employee was under investigation associated with Fan, who holds a 1.6% stake and was listed as the 10th-largest shareholder of Zhejiang Talent. Fan, a household name in China, topped last year’s Forbes list of highest paid Chinese celebrities with earnings estimated at $45 million. Fan has been in hot water since May when former CCTV talk show host Cui Yongyuan on social media accused a prominent unnamed film star of tax evasion by using “yin-yang” contracts, in which a much smaller payment is reported to the authorities to evade taxes. He said the star, thought to be A-list actress Fan, made 60 million yuan ($9.4 million) in four days of shooting, of which 50 million yuan was in a secret contract. Fan’s studio has confirmed that one of the contracts disclosed by Cui was indeed hers but denied any involvement in “yin-yang” contracts. While Fan has not been officially accused of any wrongdoing, the State Administration of Taxation has instructed the tax authorities in Jiangsu province, where Fan’s studio is based, to look into the tax evasion allegations. The local tax authorities haven’t released any findings. 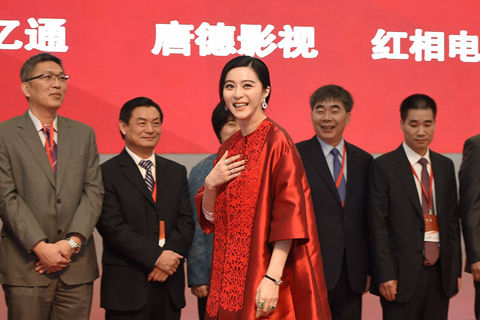 According to a Caixin investigation (link in Chinese), film stars often set up individual studios in areas offering preferential tax terms to take advantage of China’s lack of a levy on corporate income tax for individual proprietorships. If a major film studio signs a contract with the film star’s studio rather than with the star individually, the star may avoid paying significantly higher rates of income tax. But it is unclear to what extent China’s major film studios have used such systems and whether such practice is deemed illegal. 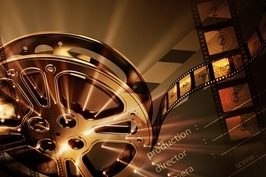 At the end of June, the tax and film regulators issued a notice vowing to stop tax evasion and to control “unreasonable” rates of pay in the film industry. Earlier this month, the State Administration of Taxation issued a further notice requiring that film industry participants should faithfully report their earnings and pay the proper taxes. Those who cheat on taxes will be placed on a “blacklist,” the notice said. Local authorities are increasingly abandoning preferential tax rates for individual studios and have tightened their accounting practices to make individual studios pay the full personal corporate taxes that are due, sources said.